Client: TT Fleet are the exclusive Australian dealer for TomTom’s fleet vehicle tracking systems. TT Fleet supply and service Australia wide with the most up to date & cost effective fleet management solutions available. 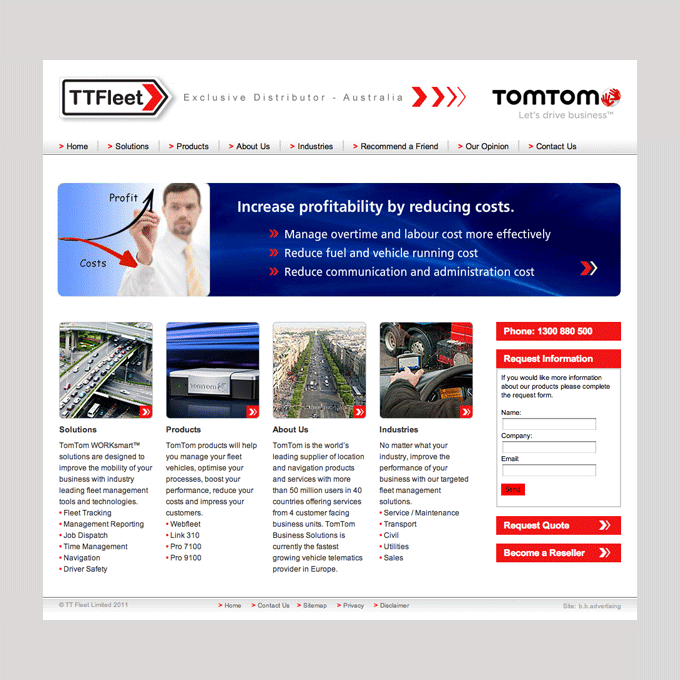 Project: bb advertising created this website as an online information tool for the TT Fleet/TomTom products and services in Australia.